Users can easily create custom filters in Polarr and share them with other users. But how do you get those custom filters into your app? It's really easy thanks to QR codes. Anytime you share a filter it creates a custom QR code. This QR code can then be read by Polarr in order to import the custom filter. The import will include all the steps needed for your to apply the filter to your own photos. That's it! Once you've either scanned or imported from photos you'll now see the custom filter show up in your filters panel. It'll be under the "Custom" section if you ever need to find it again. 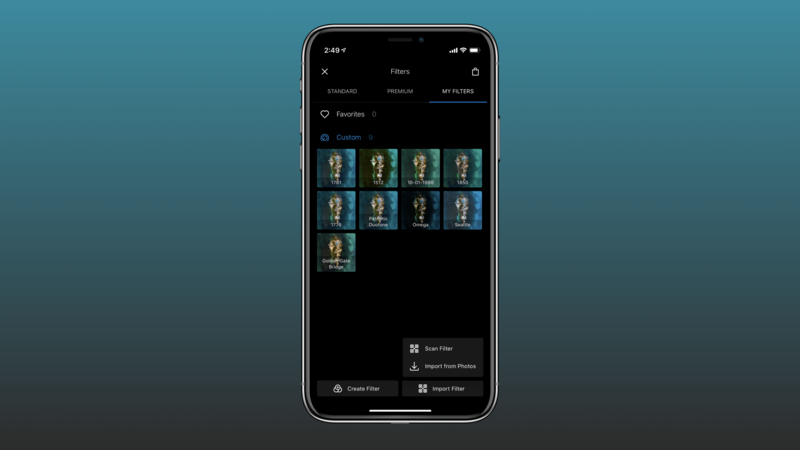 Note: Mobile users will see the option to scan filters, but users on the desktop will only be able to import from a photo.